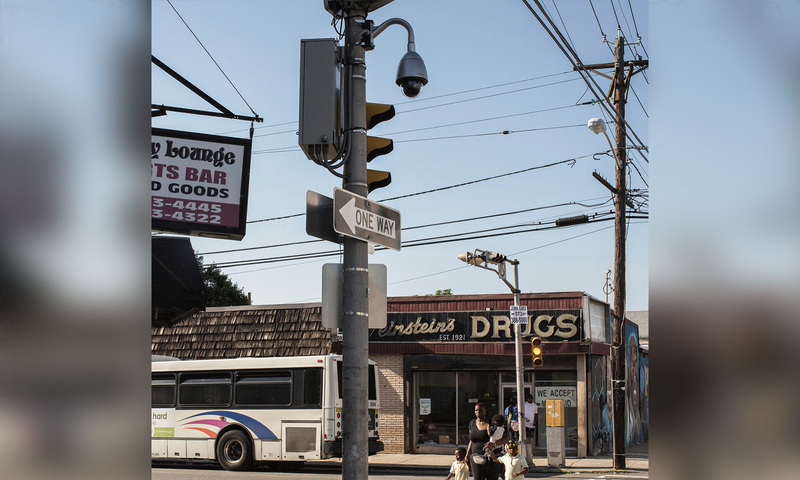 The camera perched above the bus stop sends back a continuous feed from the corner of 16th Avenue and South 18th Street in Newark’s West Ward. Regular customers come and go from Max’s, a convenience store, and a man without a shirt paces aimlessly on the same slice of pavement. Anyone with a fast internet connection and a desire to watch could also see Fernando Demarzino stepping out of his cousin’s barbershop. “My girlfriend called and told me what I had in my hand,” Mr. Demarzino said on a recent evening as he stood within the camera’s line of sight. His girlfriend had heard about official camera feeds that had recently been made available online, and she was checking out the spot where she knew she was likely to find Mr. Demarzino. He had change in his hand, and she jokingly told him the image was sharp enough for her to count out three quarters. She also spotted his Jeep parked on the street. Surveillance cameras are an inescapable fixture of the modern city. Law enforcement agencies have deployed vast networks to guard against terrorism and combat street crime. But in Newark, the police have taken an extraordinary step that few, if any, other departments in the country have pursued: They have opened up feeds from dozens of closed-circuit cameras to the public, asking viewers to assist the force by watching over the city and reporting anything suspicious.